Now 20% as great as it was in the 70s! 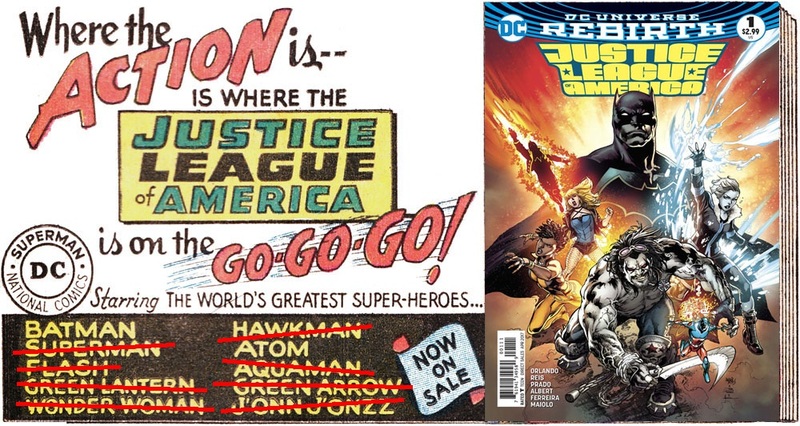 I kid, mostly – the new Justice League of America #1 wasn’t bad although some of the dialogue felt forced and the whole “we’re a new team who fight each other more than the bad guys” thing has been done to death. Nice to see the Extremists again, though, as I don’t think they’ve been around in the DCU since 2008 or so and the whole Countdown thing. They appear to have a couple of new members as well, and Lord Havok seems to be wielding Wandjina’s axe which doesn’t bode well for him. Chances of Silver Sorceress appearing to save the day? Slim, I guess, but we can hope. Posted on Monday, February 27, 2017 Monday, February 27, 2017 by GaryPosted in UncategorizedTagged Extremists, Justice League, Lord Havok, Silver Sorceress, Wandjina. Previous Previous post: Sorry, What Now? Next Next post: Thanks For The Spoiler, CBR!